The Touring Hybrid Pro is a versatility wonder par excellence. Whether in daily commuting or on multi-day tours: Its features and functionality are hard to beat. The state of the art Bosch drive system is in a class of its own. Don't be deceived by its clean lines and svelte looks. 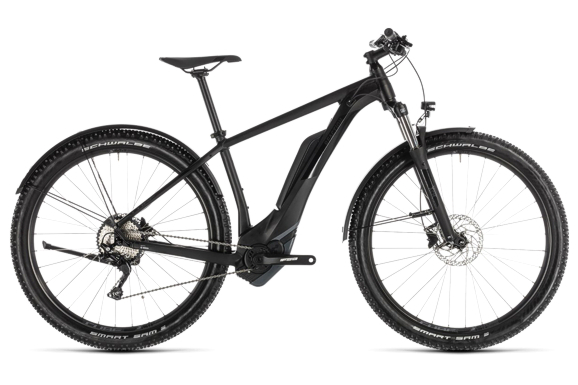 The Town Hybrid ONE's frame incorporates all of Cube’s frame design know-how, so that you can just get on with enjoying the ride. For example, a rigid triple chamber seat tube works in conjunction with a gravity cast motor housing and oversized down tube to provide a stiff, secure and safe chassis that's passed all our in-house safety testing - right up to the standards we expect from our MTBs. We put the battery in the best position for stable handling and elegant looks. And our Comfort Ride Geometry provides a safe and natural-feeling ride position, so you'll feel right at home every time. We even routed cables inside the frame, keeping them out of the way of everyday dirt and grime so that your gears work smoothly with minimal maintenance. We sweat the details, so you don't have to. It's not particularly tricky to attach a battery pack and a motor to a bike these days, if you don't care about looks. But our engineers are always looking to make things better – and, to them, the idea of an ugly road bike was simply anathema. 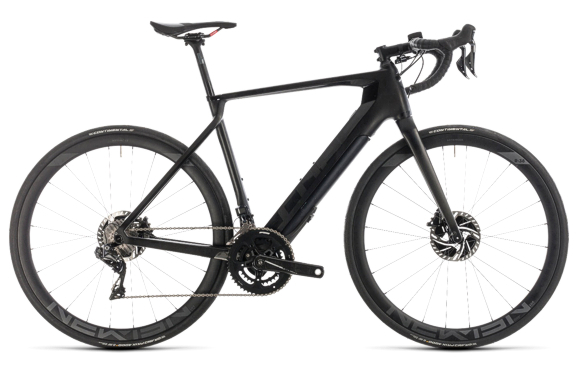 So, the Agree Hybrid C:62 Race Disc represented a very particular challenge: combine the elegant simplicity of a road race machine with the incredible performance potential of a pedal assist e-bike system. 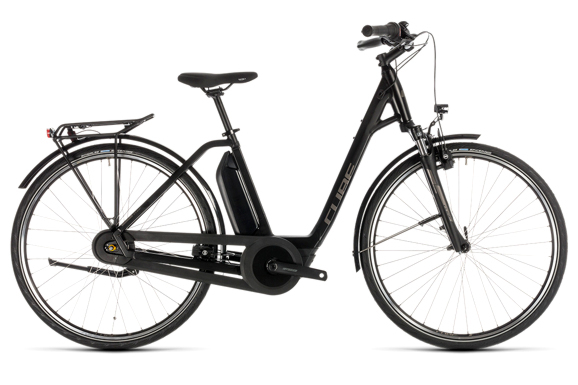 Using our premium C:62 carbon and advanced Twin Mould construction technique, they succeeded in fully enclosing the drive unit and battery in an elegant down tube, so most people won't even notice you're riding an e-bike. Thru axles front and rear and a carbon bladed fork with tapered steerer contribute to a torsionally rigid structure, so pedal response is instantaneous and steering is accurate and intuitive. And of course, we routed cables internally to match the frame's clean looks and reduce the need for maintenance. 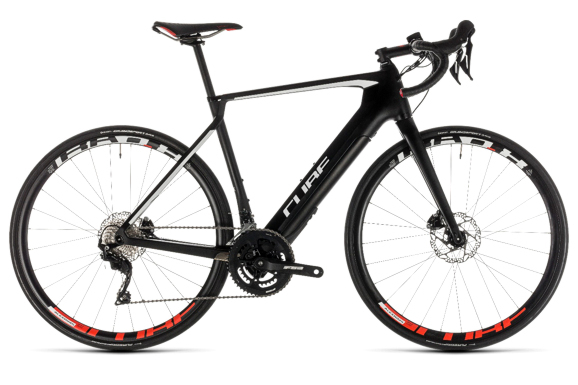 Because once you've tried the Hybrid C:62 Race Disc, there's only thing you'll want to do ride. And then ride some more! Appearances can be deceptive. 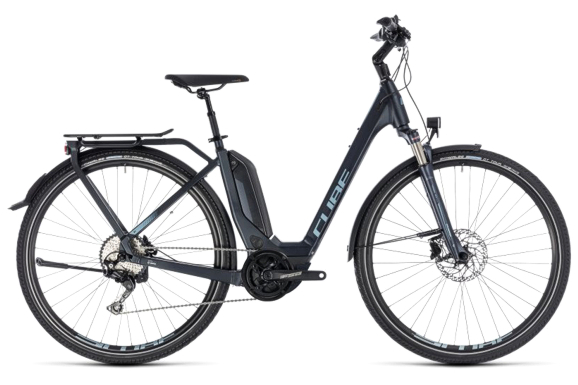 The bike you're looking at is undeniably elegant, as a road bike should be, but it hides a secret: The Agree Hybrid C:62 SLT Disc is a sophisticated e- bike. Contained entirely within the sculpted flanks of its down tube is the advanced Fazua drive pack and battery, providing seamless pedal assistance via the superbly smooth Shimano Dura Ace Di2 electronic 2x11 transmission. Seamless gear shifts, almost effortless climbing and extended range are just some of the benefits; this is a brand new era in road biking. The drive system is fully removable, adding further to this extraordinary bike's appeal. A carbon fork, Newmen carbon cockpit components and Newmen Advanced SL R.25 wheelset finish off a wish-list of range-topping components. Part technological masterpiece, part object of desire... and a new classic to add to the pantheon of beautiful road bikes. No trail is too long, no mountain too high for the Reaction Hybrid Eagle. 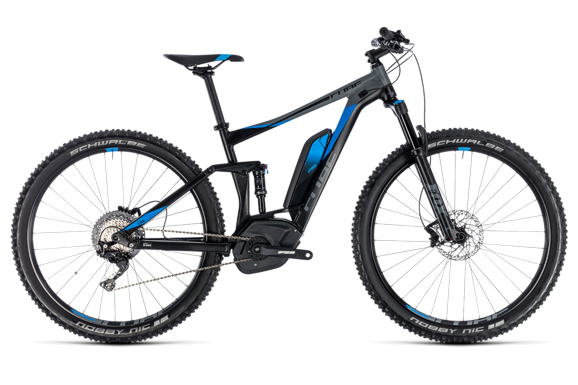 Whether it's a ride with the family or a flat-out blast on your favourite trail with your riding buddies, this is a Bosch e-bike that will re-ignite your passion for mountain biking. Combining human power and Sram's extraordinary 1x12 Eagle transmission with the powerful, torquey Bosch CX motor – delivered to the rear wheel via our super-sleek aluminium superlite frame with Intube battery – results in a ride experience that you have to experience for yourself. Size Split means you're assured of the perfect fit, whatever your body shape and size. The RockShox Judy Silver air fork works seamlessly with Schwalbe's 2.6 inch Nobby Nic tyres to deliver tenacious grip, accurate steering and surprising comfort, no matter what challenges lie ahead. And Magura MT Thirty hydraulic disc brakes give you the stopping power you need to stop safely, whatever the weather conditions, thanks to its 4 piston Caliper at the front. Where will your riding take you? Nothing on a CUBE frame is there without a reason. Dig beneath the Reaction Hybrid Eagle's clean lines, for example, and you'll find all kinds of practical details. Hiding in the elegant down tube is the Bosch PowerTube battery, protected from the elements and ideally positioned to keep the centre of gravity low, but easily accessible for charging. The Bosch CX drive unit is similarly positioned in the ideal place, connected to chainstays designed specifically to allow ample clearance for 2.6 inch tyres and running back to a 12mm Boost thru-axle. Internal cable routing doesn't just complement the bike's clean looks; it also reduces the need for gear cable maintenance – and it even allows for a quick and straightforward dropper post upgrade. There's room for up to two bottle cage mounts, and of course our refined Agile Ride Geometry ensures that the Reaction Hybrid Eagle will become an extension of you on the trail, for the ultimate ride experience.